As a skincare fanatic, it's surprising that I don't trial more products. Once I've found a few products I like, I tend to stick with them until they've either ran out or I'm in need of a switch up. I was sure that the Garnier Pure Active Sensitive range* wasn't going to be suitable for my skin type at first glance, but I've been pleasantly surprised. Although I don't find them that suitable for my night time skincare routine, for the morning they're exactly what I need - Simple, effective and can be applied in minutes. First up is the Anti-Blemish Gel Wash, a formula built up on refreshing Witch Hazel and purifying zinc. Although I would never use this to replace my double cleanse routine, I have been thoroughly enjoying this in the morning as I've previously mentioned as it helps to wake up my complexion. I've got to admit it's the Soothing Moisturiser that had me smitten, even only trialling on the back of my hand. It felt silky smooth and when paired with the Anti-Blemish Tonic it's the perfect dream team. The tonic helps to clear the skin without the use of an abrasive toner and although it can remain sticky to touch for a few minutes, once I apply the moisturiser it goes away. This three step system is a great addition to my morning routine and although I haven't seen a huge difference in the tightness of my pores, the texture of my skin has visibly improved and because of the moisturiser I can't seem to stop touching my face. 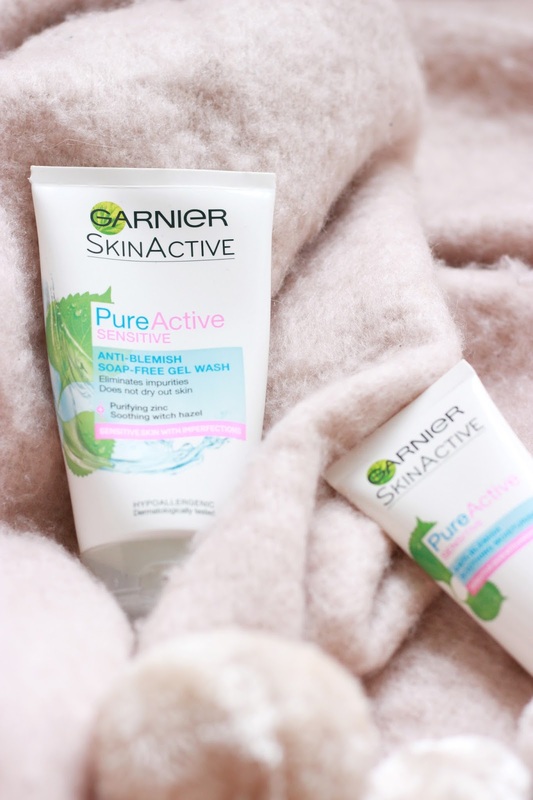 Have you tried the Garner Pure Active Sensitive Range?